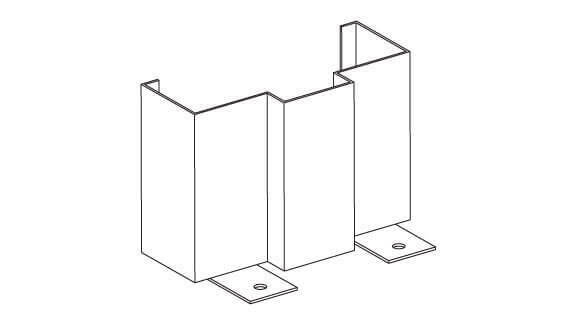 A KD or Knocked Down Hollow Metal Masonry Frame can be used for exterior or interior applications and comes in 3 pieces (strike jamb, hinge jamb and head). 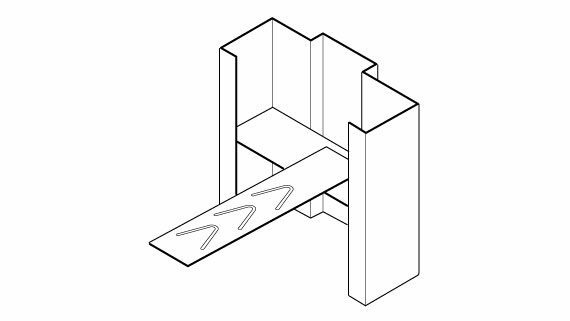 The KD masonry frame can be installed before or after the wall has been built. Can be used with exterior wood stud walls as well (butts existing wall). 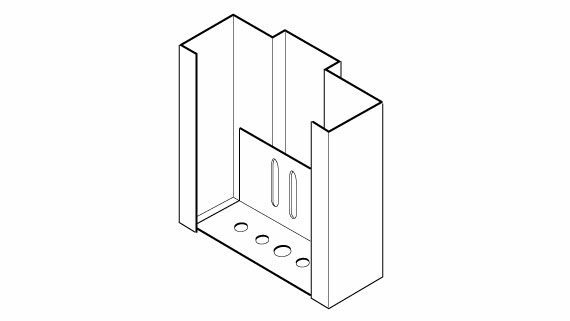 Standard Jamb Depths: 4-3/4" to 8-3/4"
1. Standard. Can be used with existing block wall or exterior wood stud walls (frame butts wall). Frame is punch and dimpled (4 dimpled holes per jamb = 8 per frame). 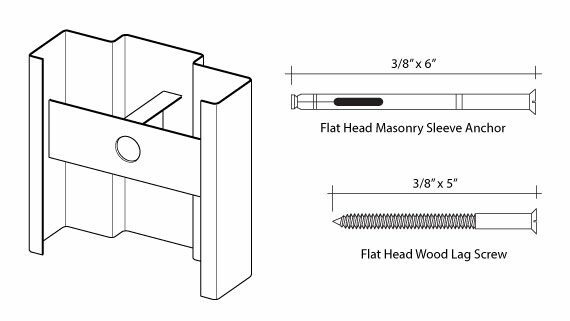 Furnished with flat head (8) 3/8″ x 6″ masonry sleeve anchors or flat head (8) 3/8″ x 5″ wood lag screws. Butterfly anchors snap-in – ship loose standard. Can be welded-in for an additional charge. 2. Non-standard – available upon request at an additional charge. Welded-in tube anchor. 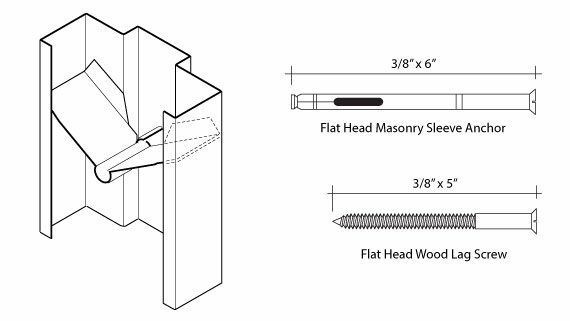 Can be used with existing block wall or exterior wood stud walls (frame butts wall). Frame is punch and dimpled (4 dimpled holes per jamb = 8 per frame). Furnished with flat head (8) 3/8″ x 6″ masonry sleeve anchors or flat head (8) 3/8″ x 5″ wood lag screws. 3. Non-standard – available upon request at an additional charge. 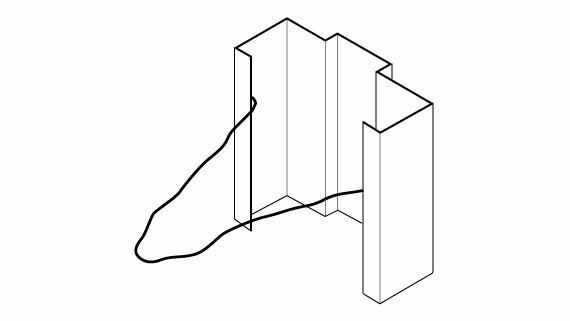 Welded-in reverse base anchor (install threshold to cover anchor).